As part of an amendment to the Chicago Transit Authority’s contract with its advertising concessionaire Intersection, which has exclusive ad rights on all CTA vehicles and real estate, 130 more digital displays are coming to ‘L’ stations, bringing the total number to more than 400, the transit agency announced today. The screens, which display Train Tracker arrival info and service alerts, as well as advertisements, will be installed at no cost to the CTA and will generate revenue as part of a profit-sharing deal. Granted, it would be great if customers could look at a screen on the platform to find out when the next train is coming, without having to be a captive audience for advertising content. But if deals like this allow the CTA to install more Train Tracker screens without spreading its tight budget even thinner, which could lead to higher fares, and can help generate additional income, the increase in ad space on the system seems like a relatively minor imposition on riders. As part of the contract amendment, 159 of the CTAs existing 283 ad displays will be upgraded. As a plus, the new and upgraded screens will have dedicated space for arrival info and service alerts that will be continuously displayed along with the ads. So while the screens will always be showing advertisements, you won’t have to wait for an ad screen to disappear and the Train Tracker screen to come up before you get the info you’re seeking. The installation of the new screens, which will also include “urban panel” displays located by station entrances, will begin this summer and be finished next year. The CTA will get at least 65 percent of the ad revenue, depending on location, with the cost of the hardware and installation will be deducted from the CTA’s share. The transit agency says that ads on buses, trains and in stations brought in more than $27 million last year. 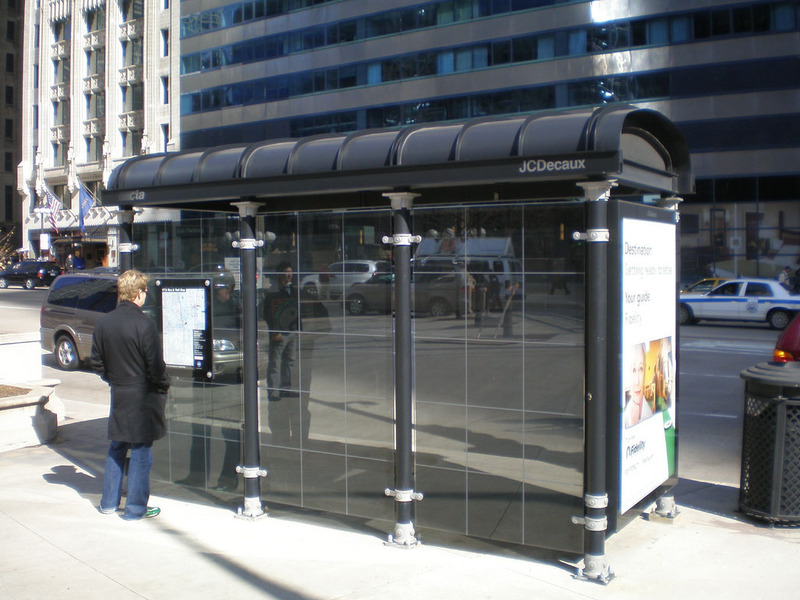 It’s a similar arrangement to Chicago’s contract with the outdoor advertising company J.C. Decaux, which gave the city thousands of bus shelter citywide, including ongoing maintenance, and generates tens of millions of dollars for the city every year. Unlike, say, our nightmarish parking meter contract, the Decaux deal has been generally beneficial for Chicago. But would it kill anybody to eliminate the spaces between the glass back panels and make them go all the way up to the roof of the shelter, so that rain and snow don’t get in? 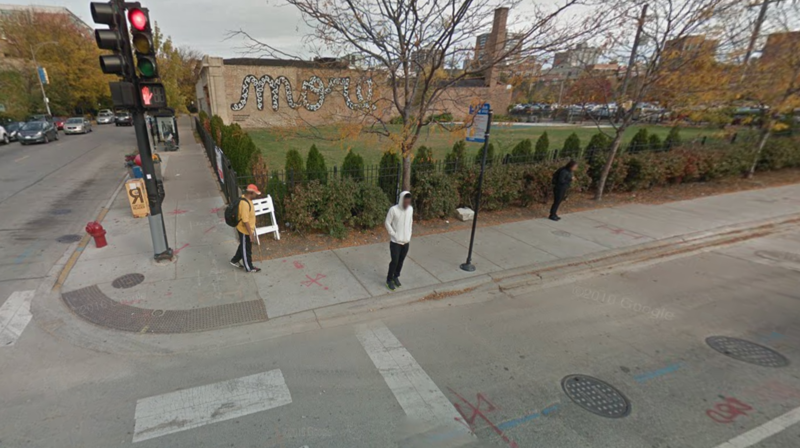 Regarding the bus shelters – why are they up and down LSD, Lincoln Pk West, etc but few or none in the regular neighborhoods? It happens all the time at busy intersections with tons of souls just standing there in the hot sun or getting rained on. Irving Park and Sheridan westbound is just one of many of them, not even a doorway to stand in to have protection from the elements. Ads, ads, ads, ads. Ugh. But the silver lining will at least be being able to see the arrival times all the time instead of having to stare at the screen waiting for the times to scroll back around. When I rode Taipei’s system several years ago they had extremely annoying screens that played video ads complete with (loud) sound, but at least the train arrival time never disappeared. You complain about the bus shelters not protecting you from the elements, yet you support the bus “rapid” transit in the loop, which has shelters that are worse than the standard shelters? Why Is CTA Enabling a Transit-Shaming Campaign to Lure Millennials to Wisconsin? The new media blitz is only the latest example of the CTA selling space for anti-transit advertisements.